John Iglesias, born in the Territory of Guam, served 18 years as Intelligence Officer in US Navy, is now President & Chief Executive Officer at Northwest Community Credit Union. 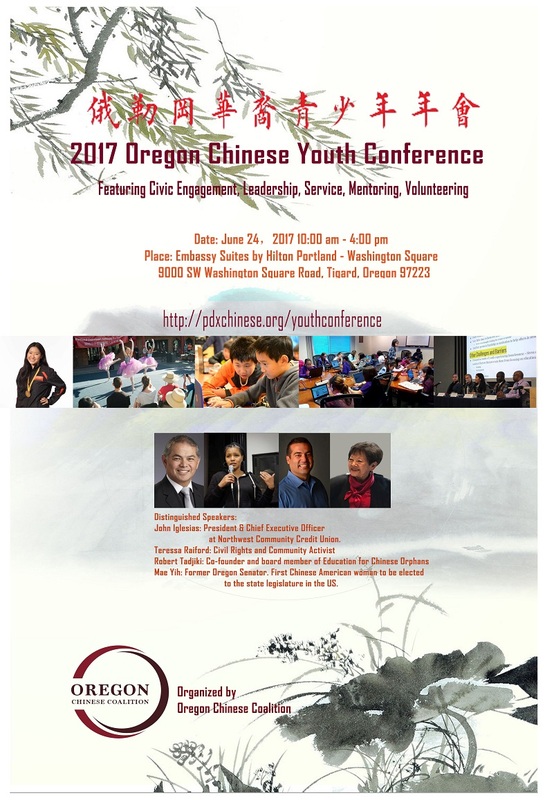 Teressa Raiford, a prominent Black Lives Matter protestor and founder of the accountability group Don’t Shoot Portland, has been very supportive to Chinese community in defending social justice. Robert Tadjiki is a co-founder and board member of Education for Chinese Orphans (EChO), a nonprofit that starts schools in China for special-needs orphans. He has been a special-education teacher since 1995. In 2006, he was awarded a national educator’s award. He has lived in Central Oregon since 2001, and is a loving husband to his wife and father to his four children, two of whom were born in China. Mae Yih serves in both Oregon House and Senate. First Chinese American woman to be elected to the state legislature in the US in 1976.